“We are like a brewery who has discovered that people are drinking wine now” was how TV2 Denmark’s Kjeld Skovlund described himself and his fellow broadcasters at Avid’s industry roundtable in November, held high above London in The Shard.  Organised in association with TVBEurope sister publication, TV Technology Europe, the roundtable sought to address issues of media asset management in an age of file-based challenges. The participants, top technology execs from leading European broadcasters, were (clockwise from left) Alistair Brown, CTO of Scotland’s STV, the afternoon’s moderator Jeremy Bancroft of Media Asset Capital, Jose de Freitas, CTO of TV3, Avid solution specialist Carl Perry, Tim Bertioli SVP, technology director, EMEA at Deluxe, Neal Romanek, editor of TV Technology Europe, Arne Berven, CTO of Norwegian systems integrator OB-Team, Avid regional sales director North EMEA Tom Evetts, Ian Baker, director of media technology at Discovery Communications, Peter Russell, director of technology at ITV, Kjeld Skovlund, head of TV projects and deputy manager of TV2 Denmark, and Avid director of strategic solutions Paul Thomson. Avid’s Paul Thompson kicked off the afternoon with a presentation on the company’s Media Central asset management platform. Thompson set the tone with a reminder that the new media value chain had left behind the old model of produce/distribute/monetise. The new media ecosystem could be described more like a loop, with content developed and produced in a non-linear way, and endlessly repurposed for consumption by audiences in different ways across different time scales. Thomson underlined the importance of metadata and the need for a system – like Media Central – which would allow metadata to be constantly enriched and to stay attached to content, no matter where or how it was used. This new ecosystem and the technologies underlying it allow for infinitely greater creativity and flexibility – and infinitely greater technological headaches in managing assets. Around the table there was universal agreement that the key issue today for broadcasters is negotiating the transition from the old linear business model – and everything it entails, from technology to workflow to mindset – to a fully IT-based business model. No one disputed that the industry was at – or already well past – a major turning point. The question now was: What are we doing about it? How to simply and efficiently distribute assets across multiple platforms is one of the key challenges broadcasters face today. Moderator Jeremy Bancroft asked the group how they had been dealing with multi-screen publishing, whether it was treated as a separate or an integral part of the business. The answers revealed a lot about the state of the business and where we are in the evolution to a multiplatform environment. Most of the broadcasters had been steadily moving their multiplatform teams closer to the centre of the business, and learning a lot in the process. Adapting to delivery on multiple platforms has been a catalyst in forcing broadcasters to evolve. Digital teams, once seen as add-ons to the network’s infrastructure, are being integrated into the main production teams. Though the move to multiplatform delivery has been sometimes laborious, the struggle has paid dividends. It was admitted that though broadcasters are not making any more money in non-linear delivery than with linear delivery, that not doing so begins to damage the brand. Non-linear delivery can actually put an extra load on budgets when it is automatically included as part of a broadcast agreement, but few broadcasters would dare to withhold their multiscreen offerings. Norway’s TV2 was an early adopter of digital platform distribution with a successful commercial model in place. Arne Berven was part of the TV2 that developed it. As linear production and distribution falls away, the steady rhythm of innovation broadcasters once counted on has been replaced by the rate of change the IT industry. Gone are the days of a leisurely nine month progression of design, procurement, and deployment. Continuous updating and iteration is essential for broadcasters looking at improving their infrastructure and for the vendors supplying them. And with that speed of deployment, broadcasters are demanding flexibility, with API’s that they can rapidly adapt to their own needs. Effectively wrangling the huge amounts of metadata required in file-based production has presented its own challenge. Kjeld Skovlund of Denmark’s TV2 emphasised that his network required thorough metadata from the moment of content capture – something that can no longer be provided effectively by human labour. Whether to negotiate these new technological demands with internally designed solutions or to look to outside vendors is an eternal question for CTOs.